Line 21 has been in business for 20 years now. And, while we’ve had a great deal of fun along the way, we’ve also learned a thing or two about surviving as small business owners. Below are three very practical lessons we’ve learned (sometimes the hard way). 1. Learn how to have work left over at the end of the day. It’s tempting to fall into the notion that “you must clear your desk by the end of every day.” Surely it’s a good thing to start each day fresh? Not always. If you think you always have to finish everything by the end of the day, not only are you setting unrealistic expectations for yourself, but you’re setting up yourself to work ever longer hours. It’s good to know you have work to do tomorrow. In fact, we recommend you have daily, weekly, and even monthly schedules for yourself and learn to stick to them. It’s all about endurance for us. You got into business because you were passionate about something, be it building birdhouses or resolving tricky accounting problems. But running a successful business requires more than just passion for a specific pursuit. It requires expertise in a wide variety of areas, some of which you will not possess. That’s okay. It’s not realistic that you’d be a master of every single skill required for running a business. That’s why there are OTHER businesses to help you fill in those gaps. Make use of them! Free yourself from the tasks at which you don’t excel so that you have time to focus on those at which you do. Your business will thank you. 3. Make it easy for people to contact you. This seems like a no-brainer, doesn’t it? But you’d be surprised how difficult some people make it to contact them—by phone, email, text, semaphore—there’s just no easy way to find a way to get in touch. When I have a hard time finding contact information, I wonder—do they really want to hear from me? Is that the message you want to send to your clients? Put your contact information everywhere and allow for as many forms of contact as possible: in your email signature, on your Facebook page, on LinkedIn, on your Twitter background, your website. Make it easy to find! If you make people work to find you, they just may not make the effort. We enjoy a good Mondegreen as much as anyone! But you can relax in the confidence that, at Line 21, we work very hard to ensure we never create Mondegreens out of your dialogue. 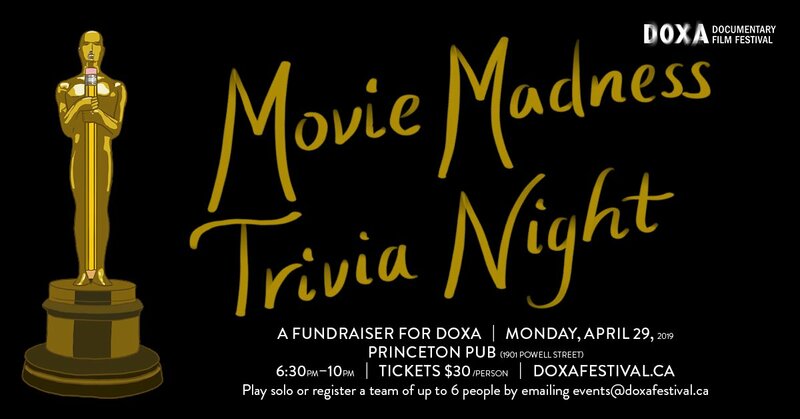 DOXA is coming! From May 2 through 11 four downtown Vancouver theatres will be overtaken by some of the most interesting, thought-provoking, sometimes funny, and always engaging documentary movies. From its humble beginnings in 1998, DOXA has grown to a 10-day event featuring 90+ films with an international reach. This Vancouver-based, non-profit, charitable society is an entirely home-grown effort, with a staff of very dedicated employees, supported by a host of volunteers. Over the years, the ambitious festival has grown to become truly mighty, with an impressive Board of Directors, films from internationally recognized talent, an amazing annual line up of innovative films from around the globe, and huge community support. Line 21 has been a proud DOXA partner for years. Not only do we sponsor screenings, but we’ve hosted receptions, and donated to silent auctions. Patricia Dziekan, who many of you will know from her work as administrator at Line 21, was even a volunteer on the DOXA Fundraising committee for a couple of years. It’s been an easy, happy match for a couple of very important reasons. First, we applaud and support DOXA’s commitment to bringing first-rate documentaries to a wider audience. And second, we just love the movies! Where else can you be challenged by a look at the destructive forces at work in Eastern Congo’s Virunga National Park (“Virunga”) one night and entertained the next by the ever-delightful George Takei—better known as Star Trek’s Mr. Sulu—in the film “To Be Takei”? This year, Line 21 is the proud screening partner for “Derby Crazy Love” on Friday, May 9, 9pm at the Rio. It’s a raucous take on the world of women’s roller derby and the tough babes who inhabit it. We’d love for you to join us at “Derby Crazy Love!” To enter to win tickets, tweet “Derby Crazy Love” to @line21cc or comment “Derby Crazy Love” on our Facebook page. We’ll randomly choose a winner and notify you the week of April 28th. Good luck! Check out the full DOXA schedule.